Do you have 5 seconds? 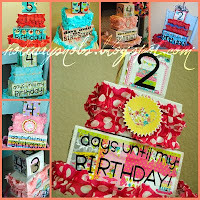 Will you help 24/7 MOMS make the Top 25 blogs over at Circle of moms. Click here and VOTE for 24/7 MOMS by clicking the thumbs up button. 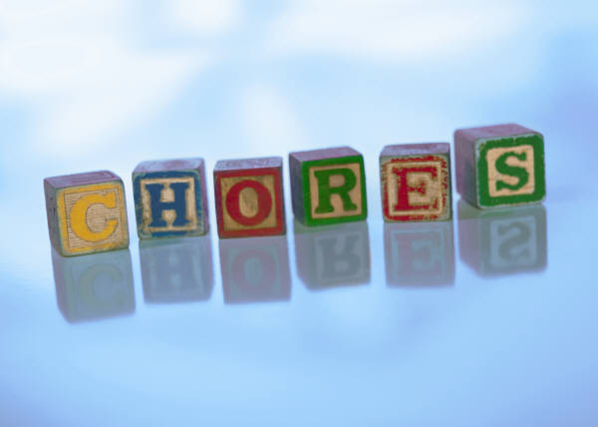 When did you first think about chores for your kids? Did you have a great plan from the time they were born and you implemented it perfectly? Or maybe it was quite different. It was at a playgroup when another mom casually asked, “What chores do your kids do?” Did you feel confused, frustrated, defensive or guilty? Often, we work so hard to make sure our kiddos are fed, bathed, clothed, at appointments on time and finish their homework that time for “their” chores seems impossible to find. My kids are still too young for chores – Children are never too young to understand that in a family, everyone helps out. Toddlers can pick up toys, put clothes in the hamper, turn the TV off, help set the table and turn on the dishwasher. Most bigger chores build upon a series of these baby steps anyway. It’s just faster to do it myself – Probably true. And you do the job “right.” However, if you put some time into training them now, you’ll be rewarded with a child used to carrying his share of the household load. This will help when life inevitable gets moving faster and faster as the kids grow. They already know how to do chores – Knowing how to do something is very different than being able to do something. Everything from sweeping to toilet cleaning to laundry takes some practice. Learning these skills at home from mom (or dad) better prepares them for living on their own some day. I don’t need the help – You might not need those extra hands but instead of sparing them the effort, you’re denying them the opportunity to work for the good of the household. It is that contribution that makes them feel needed and important to the strength of the family. Work with the team – win with the team! These may be excuses you’ve used before. But I encourage you to grab hold of a better vision for your family: one full of skilled, responsible members who can get the job done so there’s time for fun! Have you been watching the news lately? Seems there is tragedy almost everywhere. Are you prepared at your home? 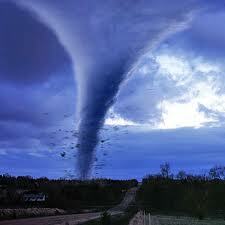 Even if you are not in a tornado/huricane area you might be in a earthquake zone. What about major power outages or flooding? Every family should be prepared for the unthinkable! A rechargeable lantern will light up a room, but what about the rest of your house? 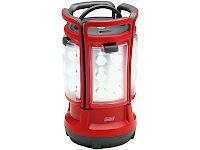 Rather than stockpiling multiple lamps, get the $70 Coleman Quad Lantern. Featuring four detachable light panels, each with six bright LEDs, the Quad is four lanterns in one. Each panel has its own on/off switch and recharges on the base, which uses eight D-cell batteries. 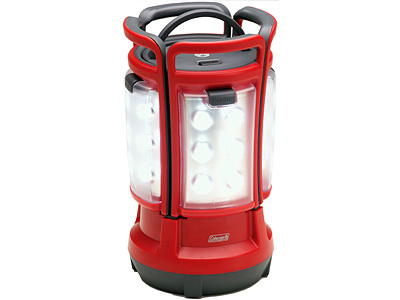 Also consider the Coleman LED Rechargeable Lantern ($45). 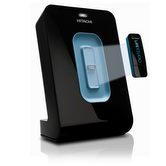 Though it doesn’t split into four lights, its rechargeable base means no battery hassles. 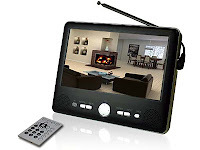 A portable, rechargeable TV, such as the Axion AXN-8701 ($79.99 on Amazon.com), is handy for checking the latest news updates. The 7-inch LCD set receives local digital stations and runs up to 1.5 hours on battery power. It’s easy to reposition the Axion’s built-in antenna for better reception, or you can switch to the free-standing external antenna to pick up weaker signals. The car adapter is handy for roadside viewing or using your vehicle as a power supply. When the grid goes dark, a portable power station is a quick-and-easy way to run the gadgets you need most. The Duracell DPP-300EP Powerpack 300 ($90) does double-duty as home and auto charger. It delivers 300 watts of power through one DC and two AC outlets. That lets you run a laptop computer for 2.5 hours and a cell phone for 15 hours, for example. 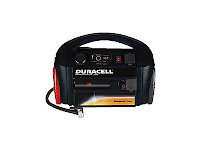 Plug the Powerpack into an AC outlet and it’ll stay fully charged for emergencies. It has a detachable LED flashlight, an air compressor for pumping up tires, and jumper cables for starting a car battery. A disaster-rated radio must keep working even after its batteries give out. 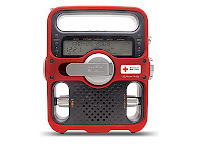 The American Red Cross Solarlink FR600 Eton Emergency Radio ($80) is a rugged, water-resistant unit with multiple power sources. You can run it on solar power, by using a hand crank, or with off-the-shelf AA or AAA batteries. The radio can receive AM, FM, shortwave and weather-alert broadcasts. It also has a USB port for charging certain cell phones, as well as an LED flashlight, a flashing beacon and an emergency siren. The handle makes the unit easy to carry or hang. Backup batteries and portable power packs won’t keep a major appliance running during a lengthy outage. 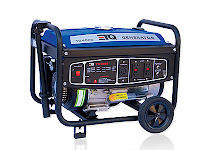 If you’ve got a freezer full of fillets to keep frozen, a heavy-duty generator is the answer. 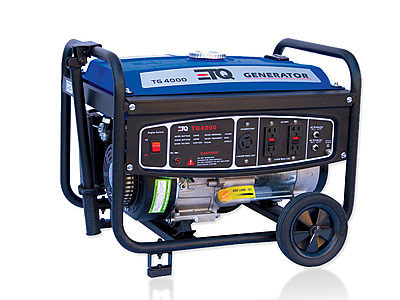 The ETQ TG32P12 ($450), from Eastern Tools & Equipment, is a 3,250-watt power station with a 7-horsepower engine. Its 4-gallon fuel tank provides up to 13 hours of run time (at half-load). Weighing a hefty 111 pounds, this beast is only marginally portable -- although the included wheel kit does make the ETQ TG32P12 somewhat easy to roll into action. In a serious emergency, water from the municipal supply may not be safe to drink. 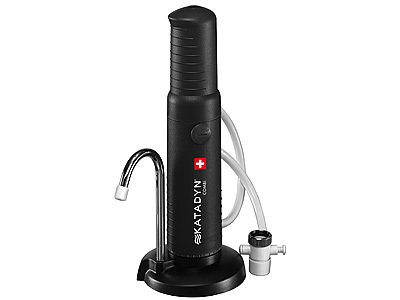 The Katadyn Combi ($160) is a portable water-purification system that filters out bacteria, protozoa, sediments and other contaminants. Its two-stage carbon-and-ceramic filter produces about 1 liter of drinkable water per minute. Katadyn’s optional faucet-mount adaptor ($40) makes the Combi convenient for home use, too. 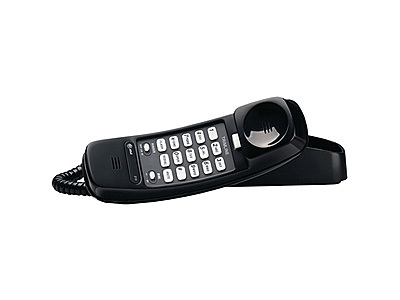 Cordless, cellular and Internet phones may be popular, but the venerable corded handset has one distinct advantage: When paired with land-line phone service, it’s the odds-on favorite to keep working during a blackout. The AT&T 210 Trimline phone is a sturdy, no-frills model that lists for $40, although we found it for as little as $10 online. Land-line phone service is cheap, too, provided you avoid the extras. AT&T, for instance, has a $9 monthly plan that includes a limited number of local calls; Verizon offers a $3 monthly deal with an 8-cents-per-minute rate (in some areas) for all direct-dialed local calls. 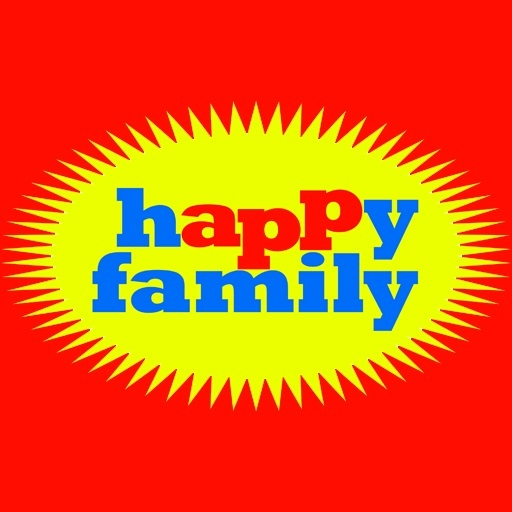 hAPPy family is a newly released app in Apple's ITune store. What do all children like to do? COLLECT. So what about an app that helps children collect positive behavior? The idea for hAPPy family began last summer when my kids would collect various colored marbles in a jar for positive behaviors in turn for rewards. The marble jar was such a success in our family. Within a week or two, I noticed a significant decrease in daily struggles and saw my kids being more accountable for their behavior. My daughter was feeding the cat and eating apples without being nagged! The only drawback was the marble jar was not exactly portable so voila, there was the idea for my app, hAPPy family. 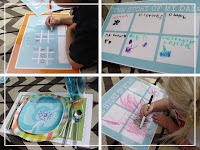 *Children choose among five collecting themes - collecting images of marbles, bugs, ocean animals, candy or treasures. *Parents assign positive behaviors to images the child is collecting and decides how many images are needed to earn a reward. *Once behaviors and rewards have been chosen, the collecting fun begins! Children collect images for positive behavior and with a finger's touch drag their images into a collecting jar. * Once the child has collected all the images needed to earn a reward, the images will disappear from the jar and the reward will appear on a screen where the child and parents can track rewards earned. 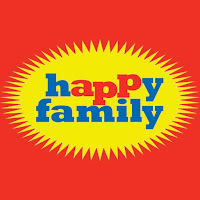 hAPPy family is fun for the whole family and can be completely personalized to work for any family. And ALL members of the family.. I have my own jar and earn images for cooking dinner (reward is going out to dinner after I have earned 5). Our puppy even has her own jar! I am not sure she understands but it keeps us consistent in our training of her. Please visit my website @ www.happyfamilyapp.com. Available on Android phones this summer! Rev your engine and start the race with Roary the Racing Car at the Silver Hatch Start Line! Your child can build the Start Line to Silver Hatch Racetrack along with the famous Carburetor Corner to really experience a day in the world of Roary! Set includes 48 chunky pieces for easy building fun with buildable racing tower, track pieces, road signs, and other accessories for realistic and thrilling after-building play! Set also offers interactive packaging, and adapter to ensure that both car and track are fully compatible with popular train track systems you may already own. For ages 3+. WIN: 24/7 MOMS and K'NEX are giving away a Roary the Racing Car Silver Hatch Start Line Building Set. US entries only and one entry per person. Winner will be chosen on June 11, 2011. **We received a complimentary K'NEX Roary the Racing Car Set for review no financial compensation was received. Q:What do you think about more than anything else? Q:Why did the banana go to the hospital? A: Because it wasn't peeling well. The sun may be out but the moms are watching 24/7 MOMS Live every Tuesday night at 6pm PST or 8pm PST - Chatting, winning and being in the MOM know are what it is all about. Don't miss out join in the mom fun. Have you heard these words yet? "Mommy, I'm Bored! - What Can I Do?". 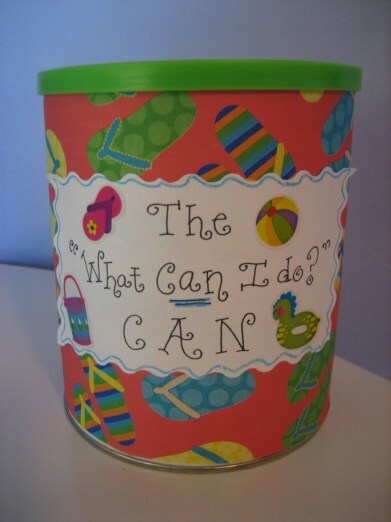 Summer is here and our kids begin to think that having lazy summer days with no schedule gets a bit boring so why not be proactive and create a What Can I Do jar filled with activities your children can do to fill their summer days. 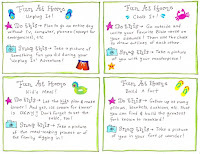 My friend The Happy Home Fairy created some creative fun FREE printable cards that moms can use to create their very own What Can I Do jars. 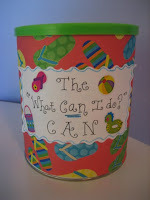 Click here to get your FREE printables and how to instructions to make you very own What Can I do jar. Having dinner as a family has always been a priority in our home. However, just like every busy mom if I don't plan it doesn't happen. 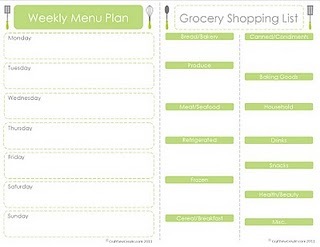 Lately it seems between kids activities and our daily busyness I have not been as faithful to my weekly meal planning. Which means that I find myself scrambling each afternoon as I hear one of my children say "Mom, Whats for dinner tonight?" - my internal reaction is " Ah, I once again forgot to pull out the meal to defrost or I forgot to run to the grocery store to pick up a few ingredients, now what will we eat?" So, my goal this week is to dig back out some of my favorite cook books and recipes and get back to my weekly meal planning to stop my afternoon dinner scramble. I found these FREE meal planning and shopping list printables at Craft Sew Create and thought you might like to use them as well to keep yourself from having the afternoon dinner scramble. Click here to get you free printable Meal planner and shopping lists. Click here to get your deal now. Tribe Mediterranean Foods offers the only all natural hummus offered nationwide. Featuring both blended and topped selections, Tribe Hummus is available in many hand-crafted flavors made from traditional recipes, everything from Classic, Zesty Spice and Garlic, and Spicy Red Pepper to Kalamata Olive, Jalapeno, and Horseradish. Tribe’s passion is to create delicious food that’s good for you too. The company is dedicated to producing a hummus that not only satisfies the palate, but nourishes the soul. All of Tribe’s hummus is kosher-certified, vegan-friendly and made with only all natural ingredients. Additionally, it is free of artificial flavors, preservatives, cholesterol, hydrogenated oils, and high-fructose corn syrup. 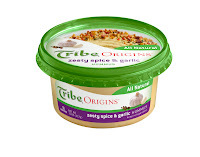 WIN: 24/7 MOMS and Tribe Mediterranean Foods are giving away 5 FREE Product Coupons for Tribe Hummus. **We received a complimentary Tribe Hummus for review no financial compensation was received. Q:What books are you reading these days? Q:What's a lumberjack's favorite month? 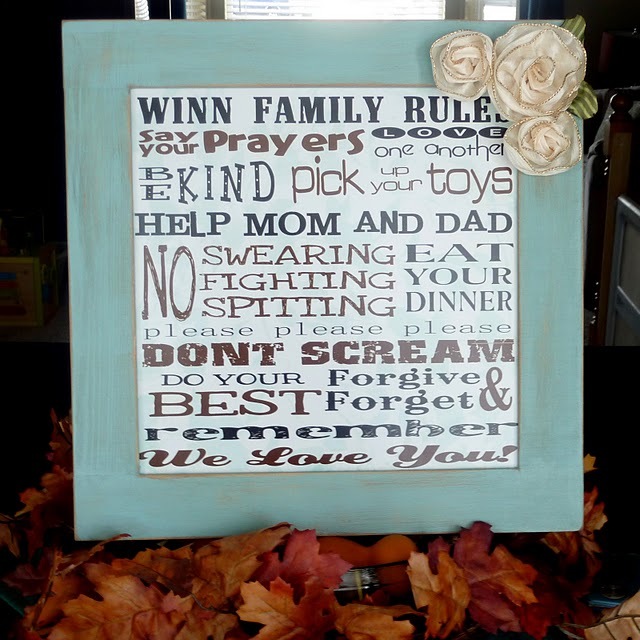 Creating a piece of art to display in your home with your Family Rules is a simple way to remind your family members what the rules of the family are on a daily basis. 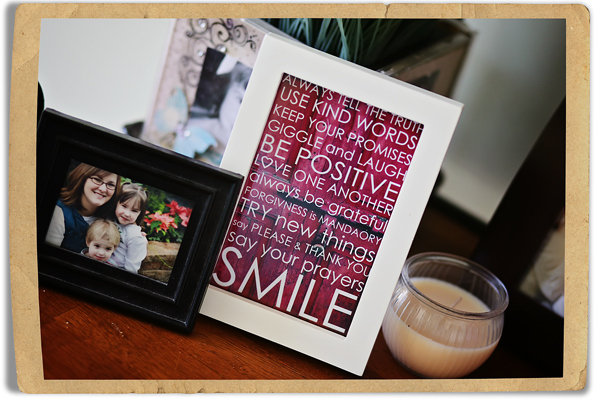 We found two free printable to use to create your own piece of art to display. 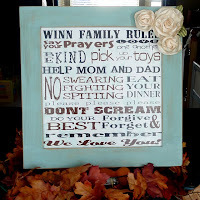 Sassy Sanctuary created a free Family Rules printable in a 12x12 size. Click here eto go to her site and get the free printable as well as how to instructions. 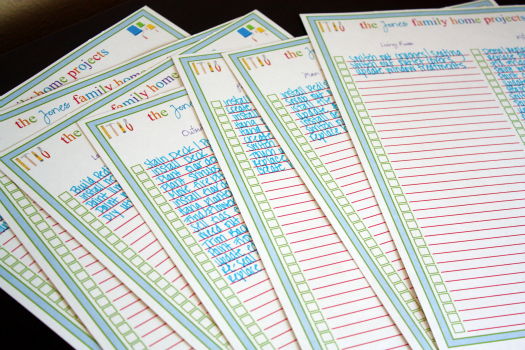 It works For Me created this free Family Rules printable in 4 different sizes. Click here to choose your size and get your free printable. Many of us moms are looking for book recommendations for our kids to inspire them to read this Summer and at the same time build their faith and character. This series is currently my two elementary age boys favorite. I have chosen to read these books to them and I have enjoyed the many character lessons they teach and find myself referring to the stories in these books when dealing with day to day parenting situations with my boys. All of my children have enjoyed the Chronicles of Narnia series - these have always been a must read for our family. They are engaging and keep your kids on the edge of wanting to hear or read more. Another Novotny favorite from their book series to their stories on DVD my boys can never seem to hear the Adventures in Odyssey series enough. I'm pretty sure I have every story memorize by now. These stories always have a great life lesson in them which is great for building their faith as well as social skills. These are a continuation from Adventure in Odyssey with fun stories about Kids running their own town called Kidsboro. More great books with daily life lessons in them. 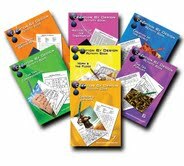 Creation By Design Activity Books -- 24 page softcover book transports kids into the stories of the Bible with coloring pages, word-finds, crosswords, logic puzzles, mazes and much more. With 4 adventures on the market currently, 3 more will be available in May. **We received a complimentary Creation By Design Activity Books for review no financial compensation was received. Q: What allergies do you have? Q:What's brown, hairy and wears sunglasses? A: A coconut on vacation. 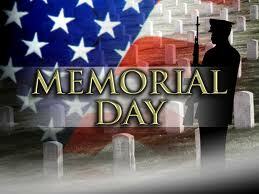 What does Memorial Day mean to you? For most adults, it's a day off of work. Don't forget all those sales/deals going on too. For kids, it's a day out of school and summer vacation right around the corner..
For race fans, the day is all about the Indianapolis 500. For many more of us, it might mean a hot dog on the grill, or a trip to the beach. 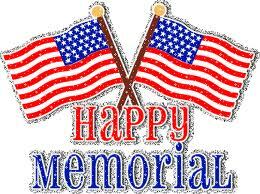 Memorial Day is for all of these things. But before we set off on our Memorial Day weekend, we should all pause to remember this number: 1,344,000. That's the number of American military members who have died in the service of their country during U.S. wars. First and foremost, this day is for those 1,344,000 lives cut short, and their untold millions of dreams left forgotten and unfulfilled. Consider the fact that in Civil war alone -- America's costliest -- nearly 2 percent of the entire U.S. population died in uniform. Think of the more than 600,000 people in their prime who died in that conflict who never had children, never grew old. Imagine the infinite number of inventions never created, books never written, discoveries never made, buildings never designed, songs never sung. Just because of that one war. Of course, behind all these numbers are acts of heroism and sacrifice, known and unknown, on battlefields large and small, on every imaginable landscape in every corner of the globe. 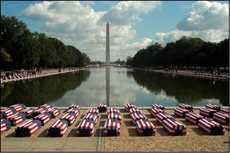 Those 1,344,000 saved countless other lives, and preserved our nation, because of their deeds and their sense of duty. In the end, we're all their children. We owe everything to them. Imagine America as a sculpture carved from a marble block. The sacrifices of the 1,344,000 represent the spaces that have been carved away. The shape of our nation is what remains. America is carved from a solid block of sacrifice. 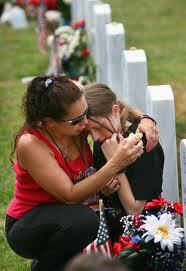 That's what Memorial Day means to us, and what we believe it should mean to us all. If you have ever had a chance to visit a VA National Cemetery on Memorial Day it is quite something. I go every year to visit my dad and its just amazing how many people show up and just the view of people... all the flags... knowing why we are all there. Very emotional. The Novotny's are working on several home projects this weekend from cleaning closets out to painting a bedroom. These Project lists from i heart organizing are perfect to help organize the projects you want to accomplish in your home and life. You could even have one for each family member of the projects they need to help with. Click here to get your FREE Project list printables. 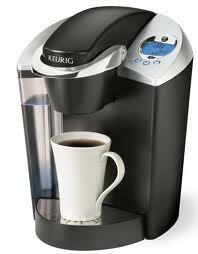 The Coffee is brewing for my college son in his new Keurig - Why? because when I was recently asked to be part of the K-Cup Ambassador program the first thing I thought was this handy dandy machine is not only perfect for the home kitchen but perfect for book studying college students. Just about all of my friends own and love their Keurig's so I thought now is my chance to try it out and report back to you the 24/7 MOMS who are always on the hunt for the best products to simplify their lives. If you are looking for a graduation or wedding gift this summer this makes a perfect gift that will be used almost daily by the recipient - not many gifts will get as much love and use then the Keurig. If you have tried K-Cups in the past, what is your favorite kind? My family can't wait to try out more yummy K-Cup flavors. keep your eye out for more deals to come. **We received complimentary product as a K-Cup Ambassador for review no financial compensation was received. There are games to be played and fun to be had in this all-new collection of tales on DVD from Thomas and his friends on the Island of Sodor! Thomas and his railway friends have been embarking on exciting adventures for over 65 years. The good times continue with the CG animated Thomas and Friends: Pop Goes Thomas, available now on DVD, Digital Download and On Demand from Lionsgate and HIT Entertainment. Whether bringing goodies to a picnic, playing hide and seek or just getting your chores done, Thomas continues to teach timeless life lessons such as discovery, friendship and cooperation, inviting children to enter a world of imagination through the tracks of a train and the words of a story. The program also features favorite live action host Driver Perkins, who can be seen only on the DVD! WIN: 24/7 MOMS and Lionsgate and HIT Entertainment are giving away a Thomas and Friends: POP Goes Thomas DVD. **We received a complimentary Thomas and Friends: POP Goes Thomas DVD for review no financial compensation was received. Q: To what degree do consider your athletic? At which sports do you excel? Q: What do you use to cut through the ocean waves? Start saving those T.P. 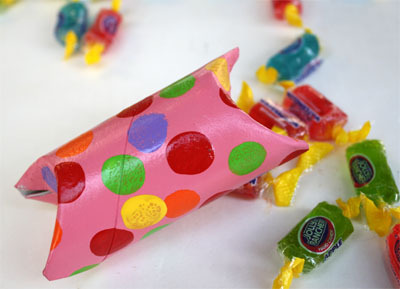 rolls and have your kids help you create these simple and fun Birthday party favors for their next celebration. 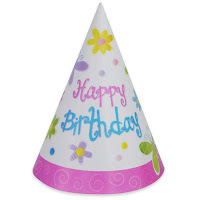 These could also be used as class party favors and other various holiday celebrations. Thanks to Skip to my Lou for this simple idea. Click here for complete instructions. I have decided to officially add professional party planner to my CEO mom resume. With five children and more than 50 birthday celebrations to list as my experience, it is only obvious why I can now claim this. These hands-on experiences have taught me what I will both do again never do again for future parties. Most important, I’ve learned how to host an organized event that creates lifelong memories. 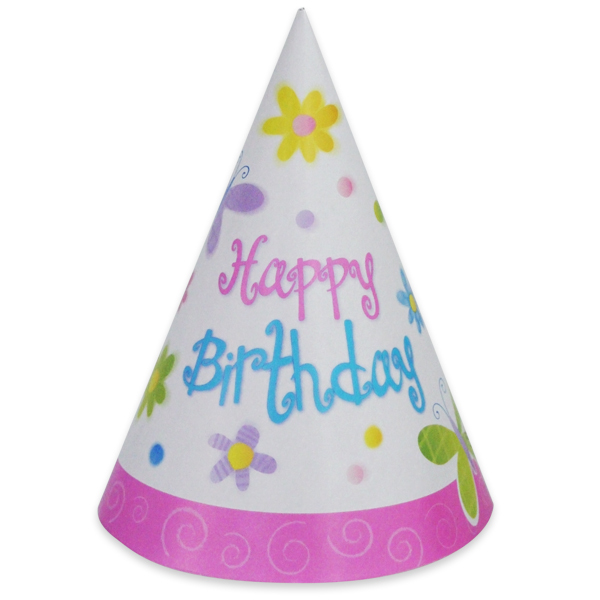 What kid doesn't get excited about their upcoming Birthday. Create this simple Countdown to add more fun to the upcoming celebration from Holiday Snob. Click here to get complete instructions. These little cupcake parties say celebration in bright yummy colors serve these at your next birthday party. 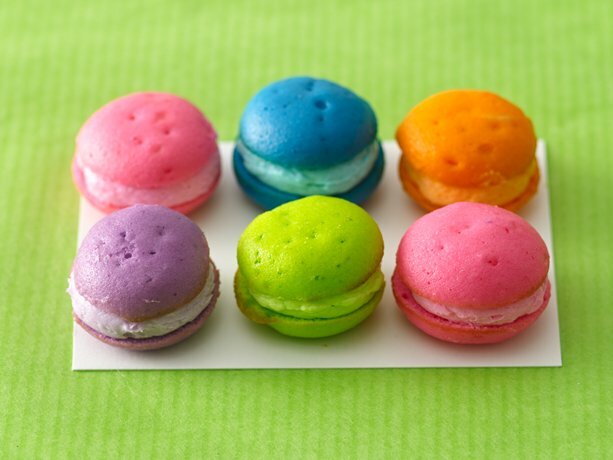 We found these over at Betty Crocker and you can watch their how to video and get complete instructions by clicking here. 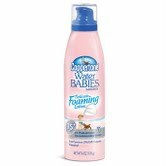 WIN: Coppertone is giving away 1 bottle of each: Coppertone Water Babies, Coppertone Sport and Coppertone Kids. Click here to enter now. WIN: Pet-zzz-Pad is giving away 1 Pet-zzz-Pad. Click here to enter now. WIN: Complete Idiot's Guides are giving away The Best Family Destinations book. Click here to enter now. WIN: Hitachi are giving away a Hitachi LifeStudio Desk Plus. Click here to enter now. 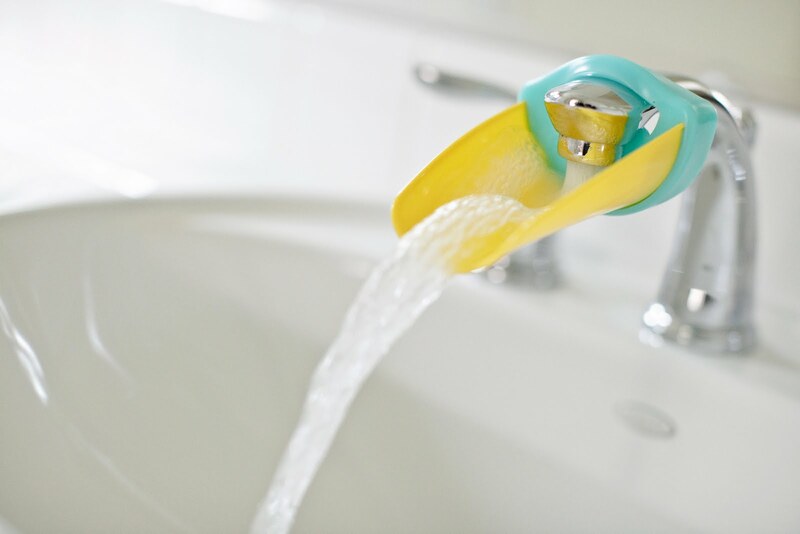 WIN: Aqueduck by Peachy, LLC is giving away a Aqueduck Faucet Extender (winner chooses pink or blue). Click here to enter now. Have you ever panicked about losing your child in a crowded place? Does the thought of them getting lost on their own send your heart racing? There are over 2000 children that go missing each day nationwide. Luckily there's a fun way to keep children safe! TattooIDoffers custom temporary safety tattoos with a child's initials and their guardian's phone number just in case! 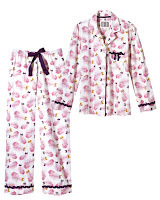 Choose from a variety of designs that your child will love! 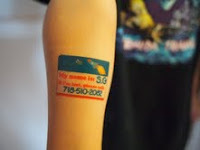 TattooID. Secure your child. Reassure your mind. WIN: 24/7 MOMS and TatooID are giving away a set of 10 temporary safety tattoos. Winner can customize to their liking (initials and phone number), and even the design of their choice from the website. **We received a complimentary TatooID for review no financial compensation was received. Q: On a scale of 1 to 10, how controlling a person are you? Explain. Q: How do you know when it's time to clean your room? A: When you have to use a compass to find your bed. 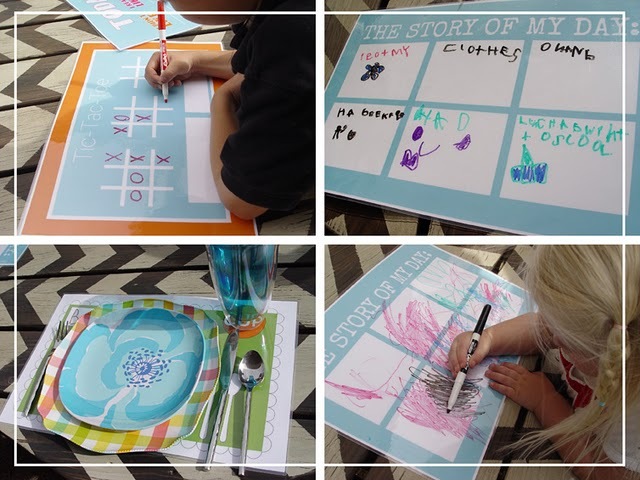 Create meal time fun with these FREE printable meal time Doodle Mats that Kiki Creates shared over at Positively Splendid - be sure to check out Kiki's site as she often has free printables to download . Simply download the files, print them out and get them laminated! 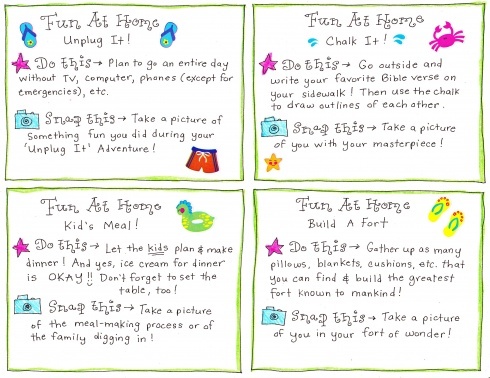 Then give your kids colorful dry erase markers and now meal time fun begins. Click here to download your FREE Doodle Mats now. Couponing, in my community, has become a twice-weekly social event. Back in September of 2010, two people went searching for a coupon club in our area. Not finding one, they received permission from a local grocery manager to invite couponers to meet. At that first meeting, a volunteer from a local food bank wowed us with how she leads an effort to save the food bank 75-percent on their grocery staples. It was then that “Coupons for Our Community” was started, to provide coupons to both families and local food banks. Couponing, for the new and the experienced, is often limited by common obstacles. Families do not have access to multiple coupon inserts. The presence of children and a lack of “life-organization”, including little time left to devote to couponing, are solved with “Coupons for Our Community” We provide the coupon inserts, grocery list/meal planners and extra arms to hold the babies We also help to remove the “dumpster diving” connotation from couponing; coupon inserts are provided to couponers, no hip boots required. How Do We Do It? : As with any event, you have to take care of the “5 W’s and H”. Begin with a friend or two, and network through your circles to find those who can help make this happen. Why? : Sharing money-saving tools and camaraderie are the initial rewards. There are long-term advantages, as we watch youngsters clip coupons or learn to form a grocery list. Military wives find a new community through their participation, which feels like a home away from home to them. We’re helping to “cut out hunger” today, and help families eat better (and more affordably) in the future. Where: Libraries, schools, community centers, restaurants – or perhaps a local grocery store are options. Your local chamber of commerce is a potential partner, as the club can be an advertising place for local businesses. When: Time and day of your meetings may change at first, as you learn the preferences of your guests. Our club currently meets one weeknight at the grocery store, one weekday morning at the chamber of commerce and one Saturday morning a month. Who: Once you have location, you can begin advertising. Post where couponers are, online and in-person. This is also the time to begin finding sources of coupon inserts. Contact retirement communities, senior centers, with information on the coupon insert donation project. Your flyer can be a combination of advertising for members and on side two, explaining the program. Once you’re established, you can invite local media to profile the group and its mission. What: Basic supplies for your meetings include several pairs of scissors, paperclips, envelopes, copies of a grocery list and/or menu planner, crayons and coloring books (or other kid occupation tools), large index card boxes with dividers for guests to donate clipped coupons, recycling bin, garbage can, a club notebook for guest registration, and coupon insert storage boxes. At our club, we also supply guests with a “Good Deal Alert” list featuring one partnering grocery store. This is found on a local money-saving blogger’s website and copies of it are made at the grocery store. A link to the “Good Deal Alert” is also broadcast in the weekly email, giving credit to the blogger and the opportunity for guests to use the link for printable coupons. Optional club features include: select advertising from local businesses, non-insert coupons, freebies, welcome folders with basic couponing tips, etc. Creating a weekly newsletter page (featuring club information, an online/in-store freebie link, local event information, garage sale listings, business promotions, etc.) is also a fun idea. A weekly email updates guests and those with interest in “Coupons for Our Community”, of the project’s activities. A laptop with internet access can be helpful for using online coupon databases – a great tool for matching grocery lists to available coupons. At the Meetings: Arrange your tools and features. Guests are welcomed, introduced to other guests and to what the club has to offer. The host(s) and/or coordinator is available to answer questions from guests and to ensure all are finding what they need. At closing time, supplies are returned to their travel boxes and the room returned to its previous condition. Coupon clubs and “Coupons for Our Community” projects will vary by the interests and communities they serve. There is unlimited potential for communities to positively impact families. 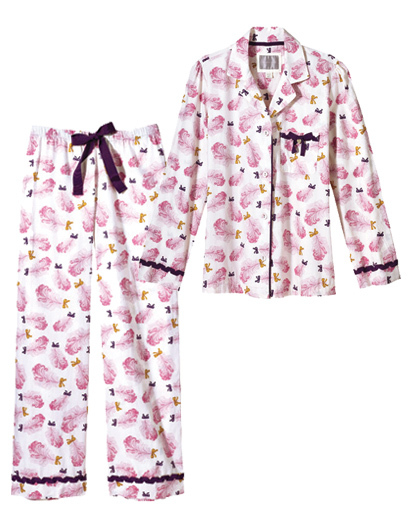 “Sleepwear makes a different to an appropriate good night of rest. The less you wear while sleeping, the more fresh air can caress those millions of pores of your skin, and let them breathe. The less you wear when sleeping during the warm days, the more rested you will look and feel next morning.” Summer is just around the corner so test and see if this beauty tip works for you. You slather on the highest SPF sun block to protect your little ones but do you remember to protect their EYES? Baby Banz, Inc. is the leader in UV eye protection for the 5 and under set and is a proud iParenting Media Award Winner for their Baby Banz wrap-around sunglasses. The Baby Banz complete line of sun protection: sunglasses, hats and swimwear were originally designed in Australia for one of the world’s toughest UV environments. Clinically tested by one of the world’s leading authorities on UV protection, Baby Banz have passed the most stringent protection standards in the world! 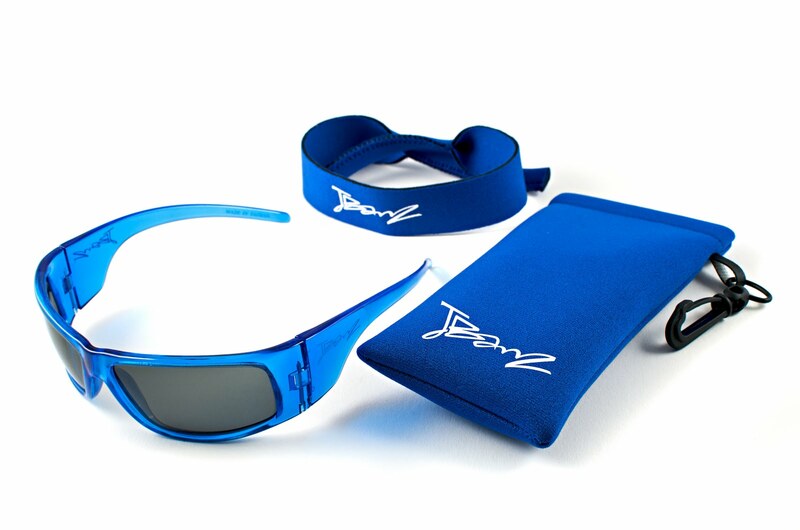 WIN: 24/7 MOMS and Baby Banz, Inc. are giving away one pair of Jbanz (winner picks color). **We received a complimentary JBanz for review no financial compensation was received.